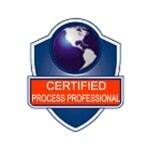 In March 2012, BP Group have scheduled business process training sessions in Australia. Certified Process Professional, CPP, sessions 1&2 have been scheduled in Brisbane, Sydney and Melbourne for March 2012. At the end of March and again in May, sessions have also been scheduled for New Zealand. Anyone who is involved in managing business processes within their organisation will benefit from this business process training and most likely walk away viewing business process management in a completely new light.